The previous episode was wild and set us up for an exciting season finale. We have learned the curse has weakened due to Regina’s attempt to poison Emma with the apple turnover. She used Jefferson’s hat to retrieve this apple and bake it to a poisonous treat that was fed to Henry. Henry then falls into a coma, where both of his mothers are hopeful of his survival. In Fairy Tale Land, we see Snow White attempting to save Charming, while he is trapped inside King George’s castle. She learns that he was actually taken by the Evil Queen. She uses Charming’s life as a hook to reel in Snow. The Evil Queen and Snow stand face-to-face and discus their history together. The Evil Queen convinces Snow to eat the poisoned apple to save Prince Charming’s life. Snow ends up in a coma, while her friends believe she has died. 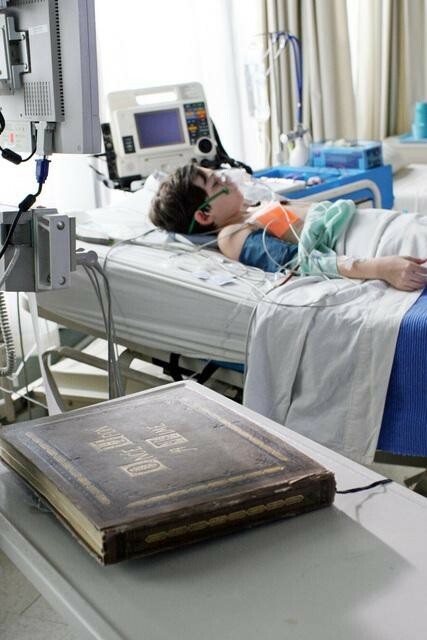 In the season finale, do you think Snow or Henry can awake from their coma? Will Emma accept she is the savior to Storybrooke? Will Storybrooke continue to keep this magic within this tiny town in Maine? However, we do know that the Huntsman (Jamie Dornan), Belle (Emilie de Ravin), Maleficent (Kristin Bauer) and Jefferson (Sebastian Stan) will be appearing in the season finale. I am so excited!